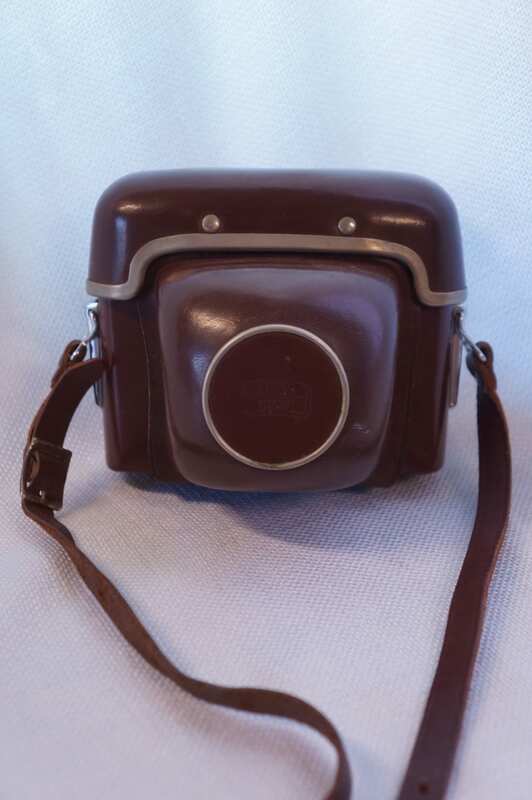 First off, what a sweet vintage camera! Carl Zeiss optics are regarded as about as good as you can get in the optics world. You will find Zeiss optics in many current applications including current high end cameras. This is also a beautifully designed piece, and would look very handsome sitting on a mahogany or cherry bookshelf. Very mid-century swank. 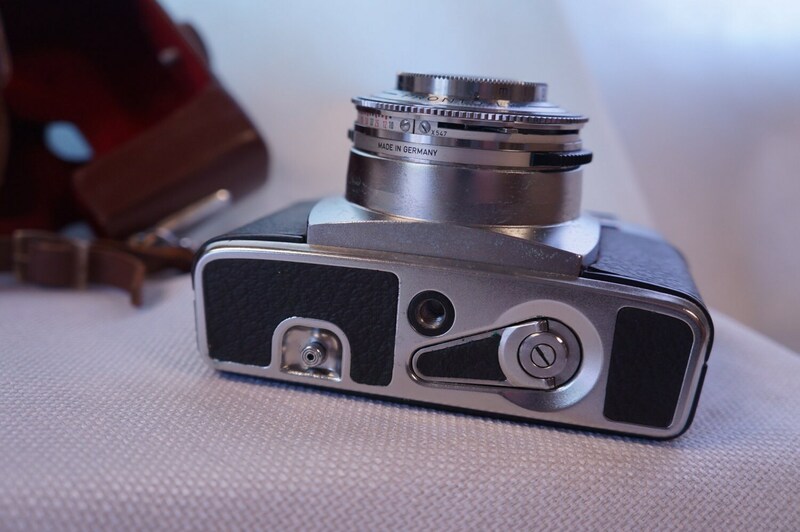 Zeiss Ikon produced a series of 35mm cameras with this basic body in the 1960s. 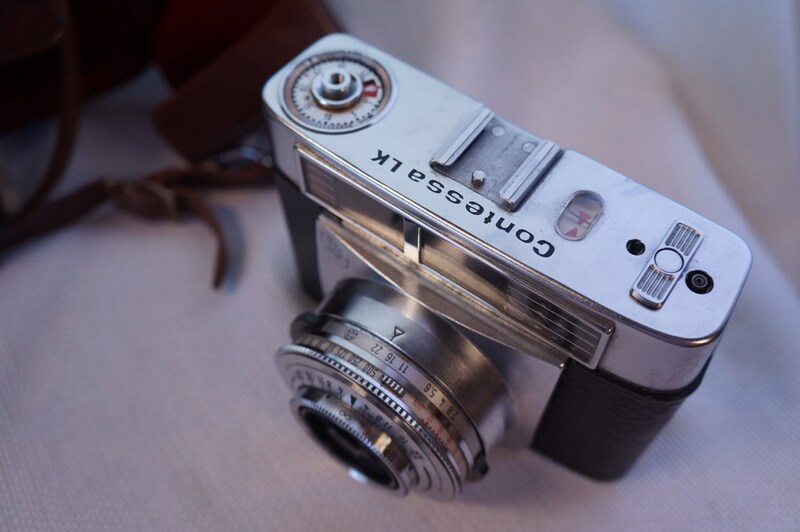 This one, the Contessa LK, was made from 1963 to 1965 in Germany. It features a highly regarded Carl Zeiss lens, a 50mm f/2.8 Tessar with, naturally, four elements in three groups. 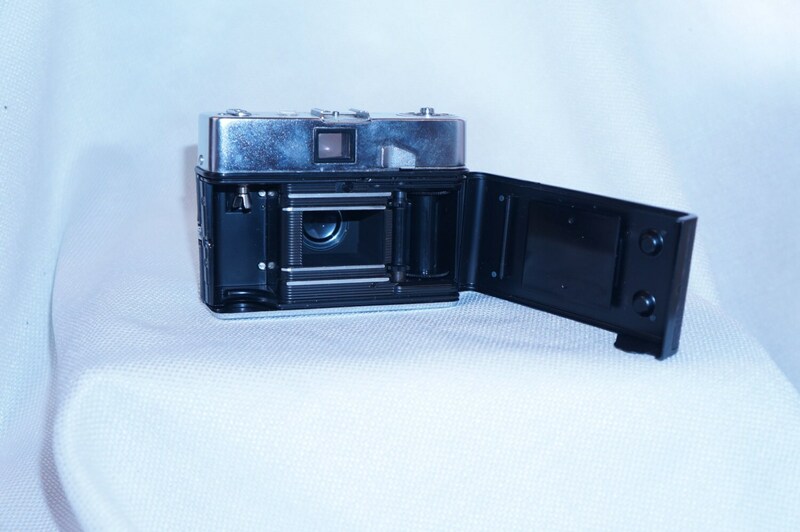 Its mechanical Pronto LK shutter operates from 1/15 to 1/500 second. Film speed can be set up to 800 ASA. The lens focus scale is in meters, from 1 to infinity. On the back is a big, bright viewfinder and a single-throw winding lever. 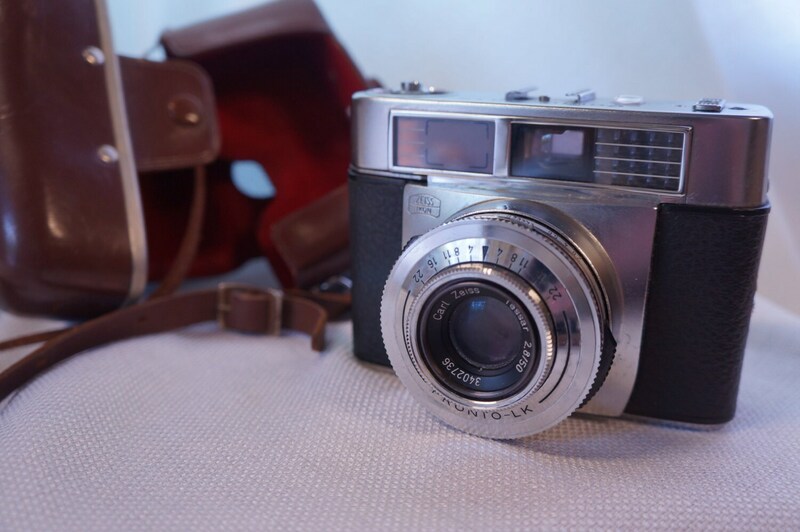 Check back as we are getting ready to list a number of additional vintage cameras including several interesting Carl Zeiss models and some more Argus as well.